Hailed by Albert Camus as ‘the only great spirit of our times’, Simone Weil was one of great essayists and activists of the twentieth century. Her writings on the nature of religious faith and spirituality have inspired many subsequent thinkers. Wrestling with the moral dilemmas entailed by commitment to the Catholic Church, Letter to a Priest is a brilliant meditation on the perennial battle between faith and doubt and resonates today as much as when it was first written. 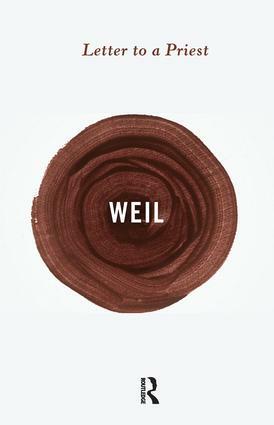 This edition also includes one of her most inspiring and celebrated essays, ‘Human Personality’, where Weil offers a moving and unorthodox account of the preciousness of human beings. With a new foreword by Raimond Gaita.